The Atlas is the first bone in the spine, located at the base of the skull. 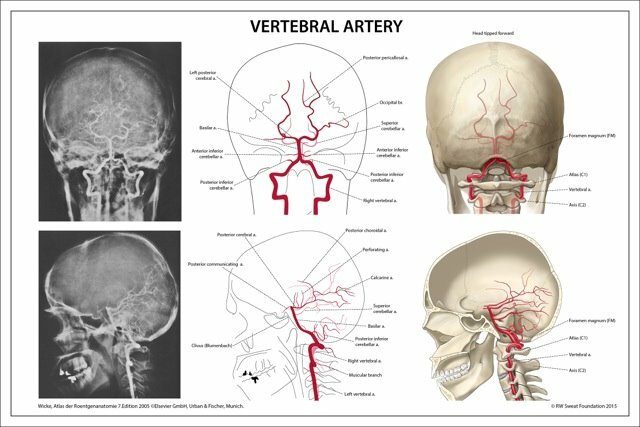 It supports the head and is the passageway for the arteries that provide up to 2/5 of the blood supply to the brain. 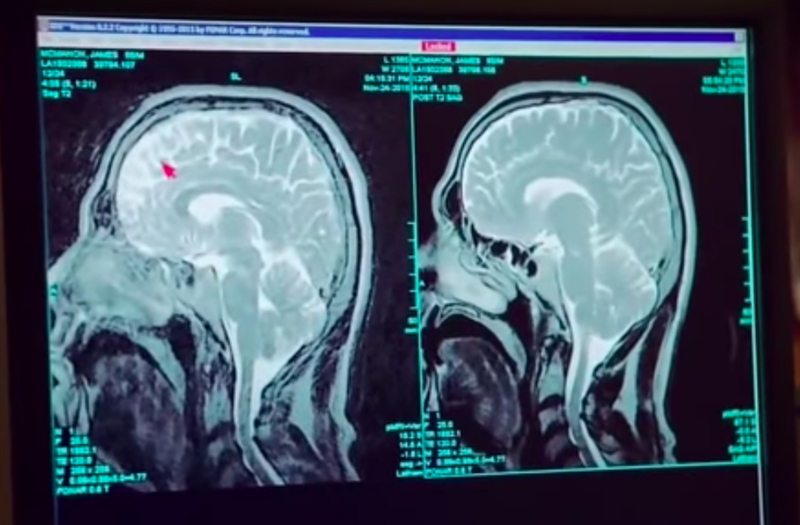 (See Brain Scan Images) It also protects the spinal cord that connects the brain with the rest of the body. A good non-medical example of the atlas is a major traffic light at a 4-way intersection. When the traffic light works properly, traffic flows smoothly. However, when that light (the atlas) is not working right, traffic backs up and there are problems not just at the intersection but in all directions behind the 4-way intersection. How do we adjust the Atlas? Atlas Orthogonal corrects subluxations of the Atlas using a gentle correction, not manipulation or cracking and popping. X-rays are taken to measure the displacement of the Atlas in three different planes, from the top, the front, and the side. The difference between an Atlas Orthogonal Chiropractor and other chiropractors is that the Atlas Orthogonal Chiropractor adjusts the atlas (the top bone in the neck) using the Atlas Orthogonal Precision Adjusting Instrument. This instrument uses the principles of percussion force. As the patient lies on one side, the doctor places the tip of the instrument below the patient’s earlobe, barely touching the skin. The head of the instrument sends an energy wave through the tip, therefore placing the atlas in the correct position. The patient feels absolutely no discomfort. By using a precise instrument to correct the displacement we allow the body’s natural healing ability to be restored. Once this is accomplished, your body is able to maintain health naturally, without drugs or surgery, by painlessly and effectively removing neurological stress. How it works? Check out our video. What is the Orthogonal position? When the atlas is in the Orthogonal position, it is exactly 90 degrees to the skull and the cervical spine (the neck portion of the spine). This is the optimal position that allows the rest of the spine to align correctly. When the Atlas is in the optimal position it helps the rest of the spine to align properly. We have found that symptoms not directly related to the physical location of the Atlas, such as low back pain, arm pain and leg pain, can be treated by setting the Atlas in the Orthogonal position. Subluxation is the misalignment of a vertebra causing irritation of a nerve. When subluxation is present, the nerve becomes inflamed, super sensitive and does not function properly. Think of the traffic light example (see What is the Atlas? ), a subluxation is what happens when something goes wrong with the traffic light (the Atlas) causing it to operate poorly. What are the effects of subluxation? Subluxation can prohibit muscles, joints, and organs from getting crucial messages from the brain. 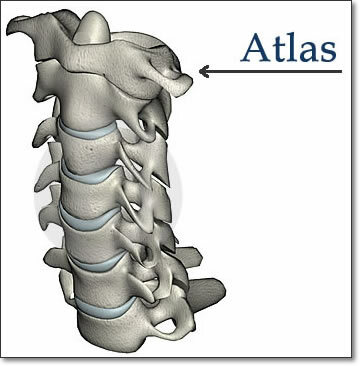 Misalignment of the atlas affects the rest of the spine and body. Think of the spine like a chain – if the first link is twisted and turned, each link down the line also turns slightly, thereby disrupting the entire chain. Consider the atlas the first and most important in the chain. In this way, even low back and leg pain may be directly related to an atlas subluxation because of the chain effect. Essentially, if the head is not on straight, the spine can not possibly be straight so a subluxated atlas can affect the entire spine! To learn more about the effects of subluxation, see the Symptoms page. Pre Adjustment: The “holes” in the image indicate lack of blood flow. Post Adjustment: Note the change in blood flow to the brain. The “holes” indicating lack of blood flow in the previous picture have lessen drastically. 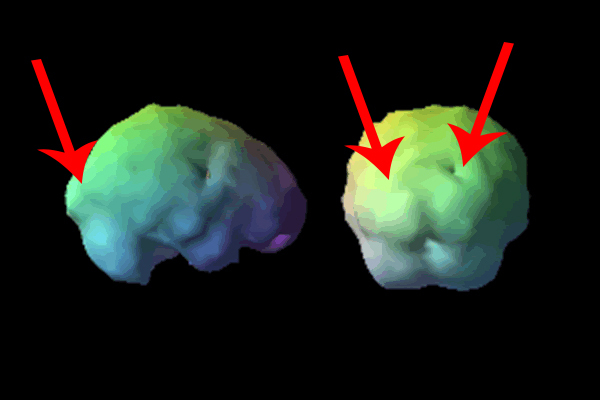 Left Side: Improper flow of CSF “clogging” the brain. Right Side: Post adjustment with normal CSF drainage.